With a stunning location on the banks of the Menai Strait on Anglesey, Foel Ferry Cottages stand with just the coast road and the sea wall separating them from the beach. 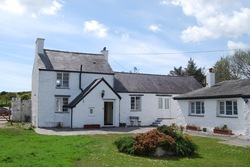 It is thought that at one time these cottages may have been connected with the jetty in the Strait from which a ferry service went to and from Caernarfon. 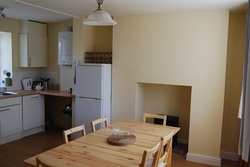 The cottages have recently been refurbished and updated for use as holiday cottages. Tyn y Foel was originally built to receive the passengers from the low water jetty which you can see on the beach. The high water jetty was part of the Tal-y-Foel ferry landing site. The ferry was one of a few that carried passengers across the straits to the mainland, landing them at Caernarfon. The ferry was used by the slate quarrymen from Bynsiencyn and surrounding villages, and also took bread and supplies from Anglesey to Caernarfon. After Telford's suspension bridge was opened the ferry fell into disuse and the building became a farmers' cooperative. There are stories of flat barges mooring up alongside the road wall and coal being shovelled straight across into the courtyard. Other folk speak of tea being served from the building. 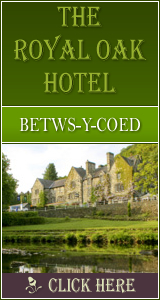 Can be booked with the two other Foel Ferry properties, ideal for a large group booking of up to 18 people. 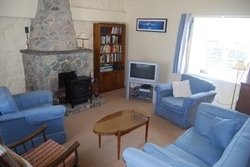 Arlanfor (Sleeps 4) and Felin y Foel(Sleeps 8). 1009 Click Throughs => £504.5 based on an example £0.50 cost of a click through from Google pay per click.